Saracens have confirmed that former Wales Under 20 international Rhys Carre will join the Gallagher Premiership club from Cardiff Blues ahead of the 2019/20 season. Care is a product of Cardiff Blues Academy and made his debut for the club in 2016 with Saracens director of rugby Mark McCall describing him as a 'huge potential'. Meanwhile, the club has also confirmed that flanker Hayden Thompson-Stringer will exit the Allianz Park outfit at the end of the ongoing season. Thompson-Stringer has been with Saracens since 2013 and has made 31 appearances for the club until now. He will join CA Brive after signing a two-year deal with the French club. “It’s been a hard decision to make but I feel it’s time for a new challenge in France,” he told the official website of the club. McCall lavished praise on the 24-year-old for his contribution to the club and wished him good luck for his future endeavours. 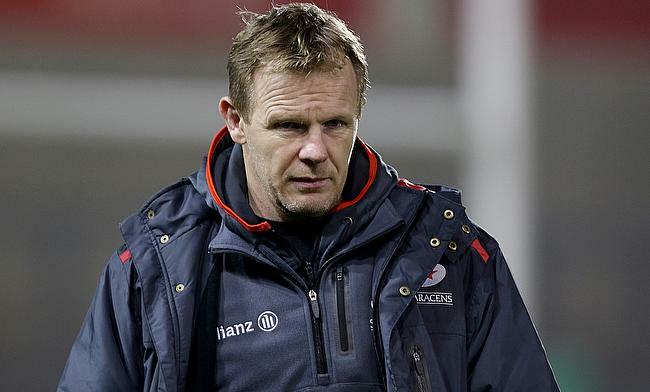 "We would like to thank Hayden for his hard work and dedication during his time at Saracens," said McCall.